Lyons & Sucher Helps Miller & Smith Increase Traffic By 240% And Home Sales By 49% In 2011. Lyons & Sucher, a full-service marketing, design and digital agency, helped Miller & Smith increase traffic to its communities by 240%, resulting in a 49% increase in sales over 2010. In 2011, Miller & Smith sold 304 homes versus 204 homes the year before. 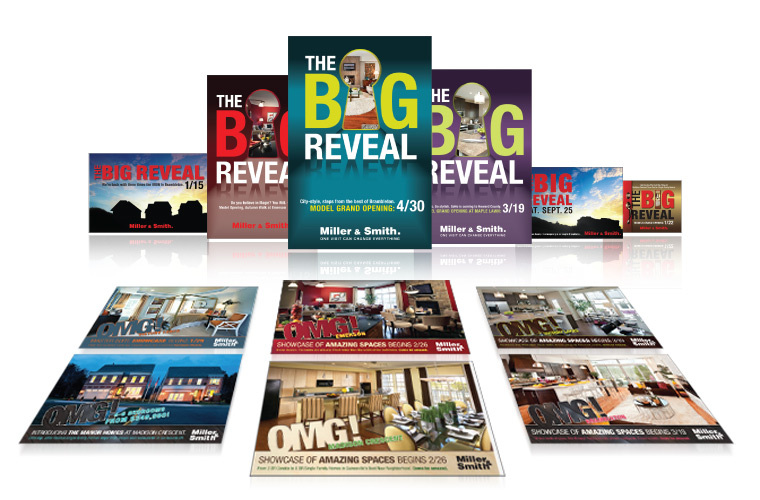 Lyons & Sucher helped Miller & Smith successfully open 11 new models in six communities in 2011 by driving online and onsite traffic with a mix of direct mail, animated banner ads, paid search, radio, print ads, and promotional graphics on MillerandSmith.com. In addition to driving huge gains in traffic and sales, Lyons & Sucher’s campaign for Miller & Smith won 4 major awards at the 2011 GALA Awards, the Washington region’s most prestigious real estate design and marketing competition. Lyons & Sucher and Miller & Smith shared the awards for Best Overall Marketing Campaign for a builder, Best Direct Mail Campaign, Best Online Marketing Campaign, and Best Broadcast Radio Campaign. To see examples of the award-winning work Lyons & Sucher created for Miller & Smith, visit LyonsandSucher.com. Lyons & Sucher is a full-service marketing, design and digital agency with over 25 years of experience marketing residential, multi-family, mixed-use, active-adult and commercial developments. Located in Alexandria, Virginia, Lyons & Sucher serves builders, developers and real estate professionals throughout the Mid-Atlantic region. Lyons & Sucher's campaigns for Miller & Smith won 4 major awards at the 2011 GALA Awards.Lyons & Sucher helped Miller & Smith increase traffic by 240% using a mix of direct mail, online banner ads, paid search, radio and print ads.